The second was the decision by Homer Plessy, who was seven-eighths white and one-eighth black, to purchase a first-class ticket on June 7, 1892, and intentionally sit in the whites-only car. Plessy knew that regardless of his appearance as a white man, he was subject to the “one-drop rule,” which made him black in the eyes of the law. Plessy went all the way to the U.S. Supreme Court in 1896 to fight the constitutionality of the 1890 law in the case Plessy vs. Ferguson. Plessy argued that the Equal Protection Clause of the 14th Amendment had been violated. The Supreme Court ruled that racially separate facilities were not unconstitutional as long as they were equal. The ruling allowed Jim Crow segregation to run rampant in the U.S., and until the mid-20th century, blacks were barred from white-only public spaces. The third occurred two years after the Supreme Court ruling: Rev. W.W. Walker organized the first African-American Interstate Tournament held at the Chautauqua Tennis Club in Philadelphia. The Undefeated will be publishing stories every day this week on the history of blacks in tennis and the multiple nuances that led to their success and excellence in the U.S. and abroad. 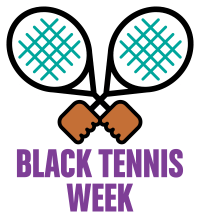 For 18 years, the loosely run African-American Interstate Tournament rotated among Northeastern cities until the creation of the American Tennis Association, the first professional black sports league in the U.S., in 1916. The ATA’s first national championships were held a year later at Druid Hill Park in Baltimore. Much of what we know about those first few championships and the players who participated is due solely to the existence of the black press in the form of the Baltimore Afro-American, Chicago Defender, New York Amsterdam, Philadelphia Tribune and Los Angeles Sentinel, among others. Historically black colleges and universities also played a crucial role in the success of the organization by hosting the ATA’s tournaments on their campuses. Hampton University hosted the first national championships in the South. “It was a phenomenal experience, because you would go for a week or two … and that was an opportunity you had to meet black tennis players from all over the country,” said former ATA men’s singles and doubles champion Arthur Carrington Jr. “The Nationals played a great part in a national network of tennis players. Just as there were blacks who could have played major league baseball had they not been banned, the same was true for tennis. Stars such as Talley Holmes, Ora Washington, Bob Ryland, sisters Margaret “Pete” and Matilda “Re-Pete” Roumania Peters, and Nathaniel and Franklyn Jackson played much or all of their prime when the United States Lawn Tennis Association (USLTA) wouldn’t let them play on the same courts as the white stars. For movie star Gene Kelly, the USLTA’s exclusion of the Peters sisters meant little, as he enjoyed playing tennis with the pair in Georgetown near their homes in Washington, D.C. Matilda Peters was one of a handful of women to beat Althea Gibson, who won 10 consecutive ATA women’s singles championships and became the first black player to win a Grand Slam title in 1957. Gibson broke the color barrier for blacks in tennis in 1950, three years after Jackie Robinson in baseball and four years before Brown vs. Board of Education dismantled “separate but equal” in 1954. Years later, Arthur Ashe would become the first black man to win a Grand Slam title. In 1968, the same year Ashe won the first U.S. Open in the Open era, he was also working to bring an Association of Tennis Professionals tournament to Washington, D.C. The tournament, which is now the Citi Open, is being played this week. Since the victories of Gibson and Ashe, stars such as Venus and Serena Williams, Yannick Noah, Leslie Allen, Lori McNeil, Zina Garrison, MaliVai Washington, James Blake, Gael Monfils and Sloane Stephens have graced the sport. In 2017, Serena Williams set the record for most Grand Slam wins (23) by a tennis player in the Open era, winning the Australian Open while she was two months pregnant. Serena Williams is one title short of tying Margaret Court, who holds the all-time record (24). Venus Williams has played in two of the three Grand Slam finals this year, – the Australian Open and Wimbledon and at age 37 became the oldest woman to reach the Wimbledon final since Martina Navratilova in 1994. Michigan’s Brienne Minor became the first black woman to win the NCAA Division I singles championship in May when she defeated Florida’s Belinda Woolcock, 6-3, 6-3. Minor was unseeded in the tournament. “It wasn’t until that final match that I actually believed that I could win the whole thing,” Minor said. “At that point I started to believe that if I had made it that far, I might as well win it all.